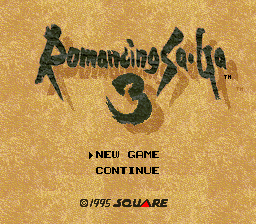 Romancing SaGa 3 is a role playing game for the Super Nintendo. 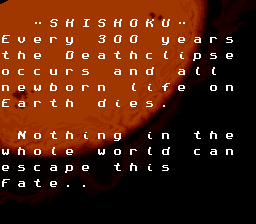 Well, this is actually quite a decent translation. 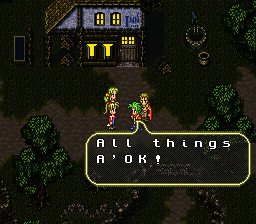 I played it for about half an hour, and only saw a few untranslated stuff, mostly item-related. 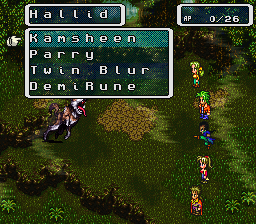 It’s quite decent, if you can overlook a few obvious misspellings (daeth?). I wouldn’t bother with it over Mana Sword’s patch, though.